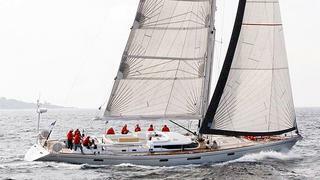 News of another central listing at Haas International as Manfred Haas asks me to broadcast his new central agency, the 23.47m sailing yacht Dapsang. A performance cruising sloop, Dapsang was built by France's CNB yard in 2006 to a design by Philippe Briand and is MCA compliant. Accommodation is for six guests in three cabins and a powerful carbon rig means she sails extremely well. Lying in Monaco, Dapsang is asking €2.18 million, VAT paid.